We offer a variety of opportunities including specialty kayaking and SUP (stand up paddle board) rentals, tours, SUP Yoga, and lessons. All tours and rentals will include basic instruction and safety precautions. Paddlers with their own equipment are welcome to join guided tours provided there are spaces available and the equipment is approved. Our kayak rentals are sit-on-top ocean kayaks that are very stable, reliable, and are easy to learn on. Take one out to explore the wildlife, surrounding vistas, or to go fishing. We also offer take away rentals for those looking to explore other areas on their own. Contact us for availability. Kayaking and stand up paddle board lessons are a fun way to get started in the sport. The Suisun Marina is a protected area with normally calm and flat waters. Lessons cover safety, equipment, launching and landing, exit and re-entry, and basic strokes. 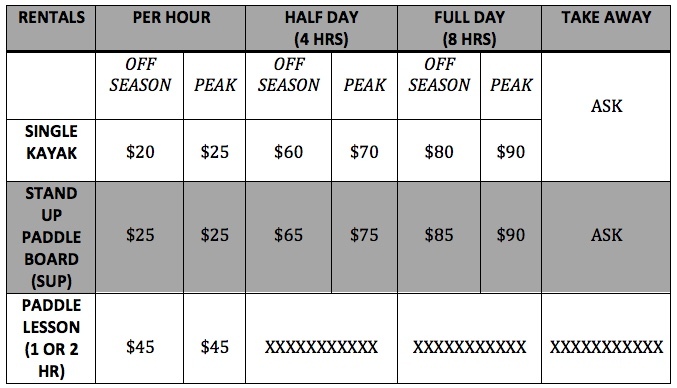 Gratuity for guides are greatly appreciated. 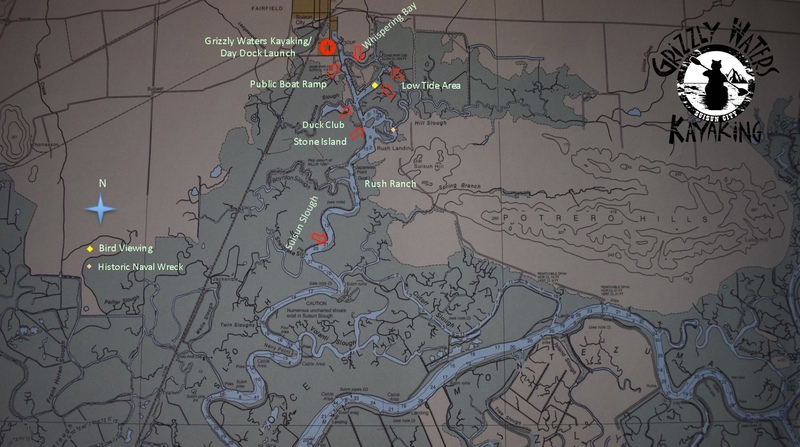 Our Nature Paddle takes you on a tour exploring and discussing the Suisun Marsh ecosystem and the importance of the California Delta in our lives. Along the way we will see the effects of the tidal flows, wildlife ranging from egrets to sea lions, and expansive views of Mt. Diablo across the Suisun Bay. A great way to end your day is with our Sunset Paddle. The sunsets over the Suisun Marsh are never the same and are great for avid photographers. We will discuss the history of the area from Native American use of the land to present day Suisun. 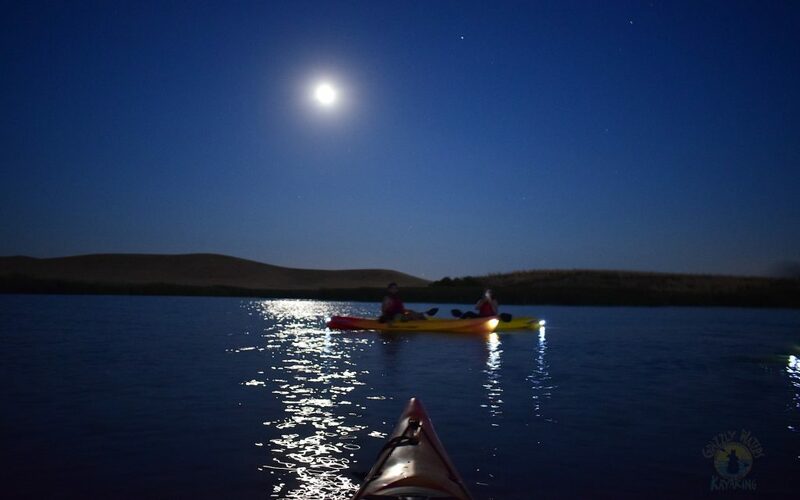 The Full Moon Paddle is a unique way to explore the endless water routes each month during the visible full moon. We will be guided by the moon’s brightness and reflection as we soak in the surrounding elements. During our return to downtown we will use the Suisun City Waterfront lighthouse to navigate us. Looking for an adventure? Consider our Beach Paddle which takes us to a small isolated sandy beach with views of the Napa Range. We will take in a break for lunch and relaxation before our return. 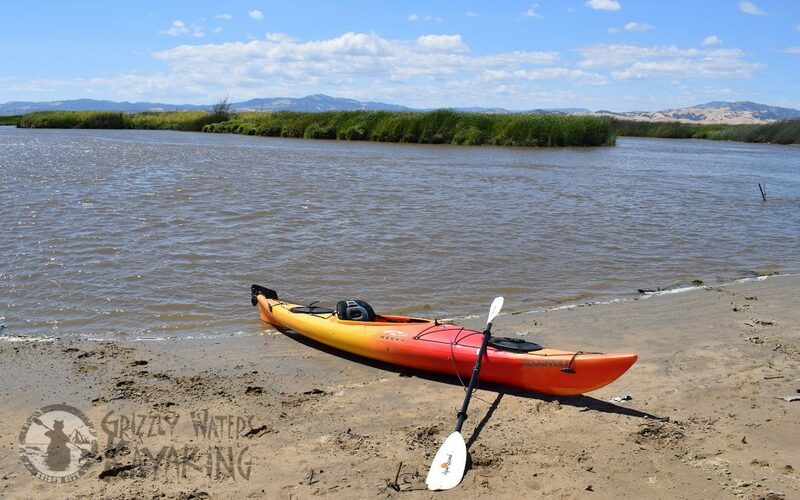 This is an advanced 4 hour paddle that tests your skills through the winding back waters of the Suisun Marsh. This paddle is best done in the mornings as the winds are generally calmer. Our newest tour is our Paddle and Taste event. We will embark on a Nature or Sunset Paddle and then unwind with a VIP wine or beer tasting at the friendly Craft & Cork. Contact us for more details or to customize your group event. 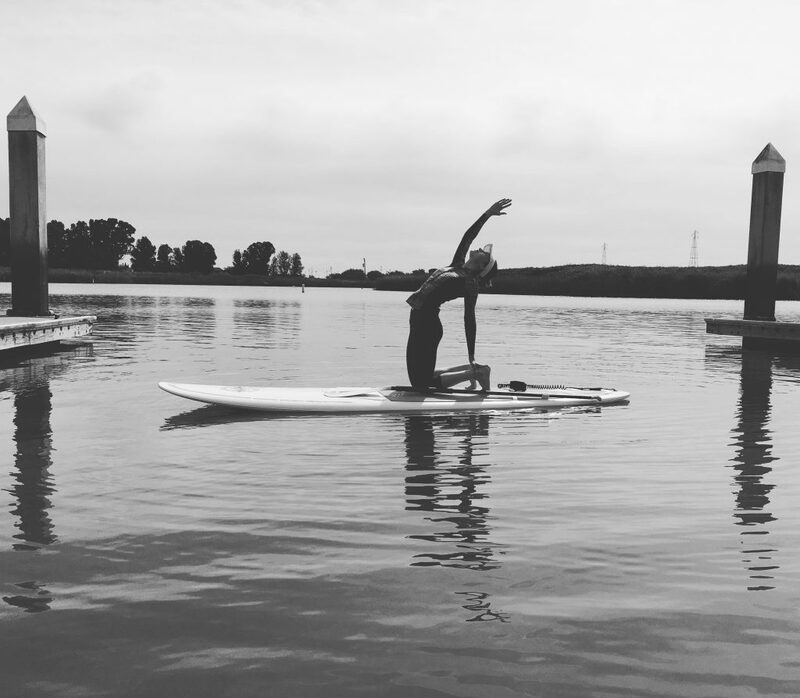 We have recently added Stand Up Paddle Board Yoga (SUP Yoga) sessions with our yoga certified instructor Angela from YogaSprouts Therapy. This 2 hour class includes a short paddle to find solitude and find your Zen. Cost is $55. Classes are scheduled the 1st and 3rd Saturdays and 2nd and 4th Fridays through the summer. New students should read our additional info page. A local favorite event is the Suisun City 4th of July Fireworks on the waterfront. We offer a Fireworks Paddle during the event that offers views of the show from a unique perspective and away from the crowds. This is a popular event. Call early to reserve your spot! We also offer unique events like our Meteor Shower, Eclipse, Earth Day / Coastal Cleanup, and Birding Paddles. After your adventure and a well earned appetite, explore one of our downtown area restaurants. Ask us for recommendations or about our local promotions with Hampton Inn, Cast Iron Grill and Bar, and Craft & Cork. We also offer gift certificates for that special occasion.